Nestled on the near east side of Madison, Olbrich offers a nature oasis in the middle of town. At Olbrich Park, the public can enjoy fishing at the docks and loading their boats onto Lake Monona, playing soccer in the fields, and enjoying a clear view of Monona’s Independence Day Firework Display every year. Olbrich Botanical Gardens has free outdoor gardens and an indoor conservatory for a low entrance fee that features many exciting events throughout the year. The Capital City Bike Trail backs right up to the gardens, and takes you throughout the entire town. Elementary and Middle schools are right around the corner, as well as local businesses like the East Side Club, Michael’s Frozen Custard, and the Pinney Branch Library. 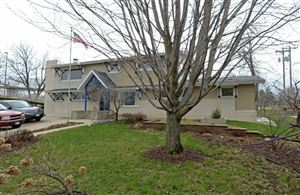 See all Olbrich Homes For Sale.